Your ability to retain customers is often a reflection of your entire business. From the features your product offers to the way your sales team describes them, everyone has a hand in creating an active user base. User journeys are complicated. Although you might envision a straight path from new user to power user, your users’ journeys splinter into a massive assortment as they move past being a new user. Plotting this on a user retention curve—a graph that represents active user drop-off over time—reminds us that there are many users that go through this journey, and there are many places user lose interest along the way. But before you can start driving the curve north with some retention experiments, it’s important to set up the proper analytics to measure your effectiveness. 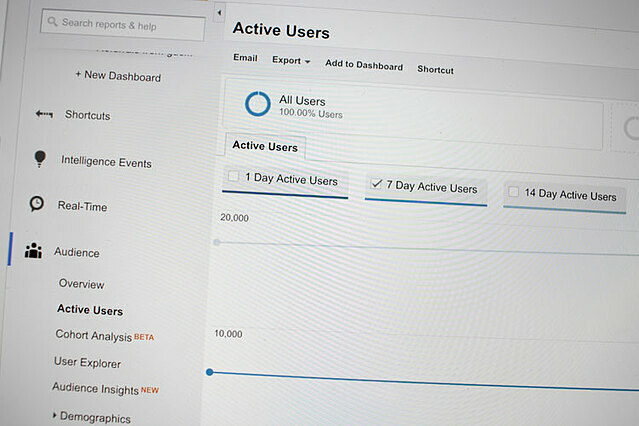 The simplest way to measure customer retention is by percentage of monthly/weekly active users to total signups. 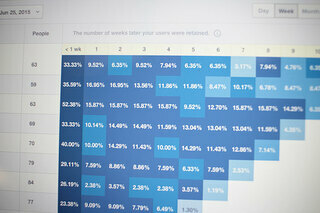 You can grab yours through Google Analytics and work to improve that simple metric as you run retention experiments. One way to better understand your user journeys is to examine your power users—identified either analytically or anecdotally—and revisit their user journey. 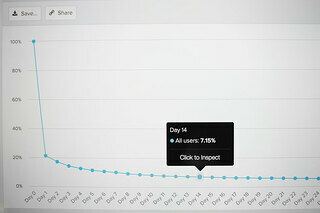 Try and uncover important actions they took as a brand new user, and as they were ramping up. Gather enough data to have a better sense of what a successful user journey looks like and consider how you can reduce friction along this path for less motivated or less technical cohorts. Use this mindset to start implementing your retention improving experiments. Onboard New Users to Aha! 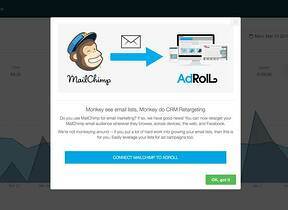 Start experimenting with your newest users first by improving your user onboarding experience. By focusing on this cohort first, you’ll should create significantly more seasoned users to run experiments with at the next stage. User onboarding best practices suggest that the goal of user onboarding is to drive first-time users to their Aha! Moment—the moment in which they first experience value from your product—as quickly and smoothly as possible. That first experience of value will create a lasting first impression that will motivate them to continue using your product. A welcome message is the first thing a user sees after signing up—and logging into—your product for the first time. Welcome messages can help reduce the anxiety a new user can feel as they transition from your landing page experience into your product experience by restating your product’s promise of value in the form of a mission. 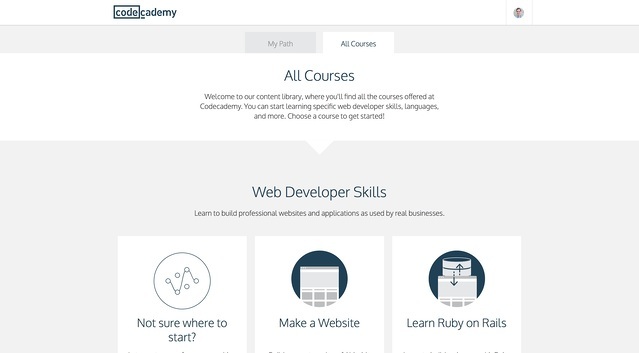 Codeacademy’s homepage header text is currently “Learn to code interactively, for free.” This value-oriented message is much less specific than its mission for new users, pictured on their welcome page as, “Learn to build professional websites and applications used by real businesses,” which is a more tangible goal that gets to the heart of what I imagine attracts Codecademy’s most successful users. A motivating welcome message like Codecademy’s will buy you time and patience from your new users, and keep them sticking around for longer. Product tours can have a bit of a bad rep for being overbearing, but when done right, they’re effective at introducing new users to your product’s user interface and steering them towards their Aha! Moment. 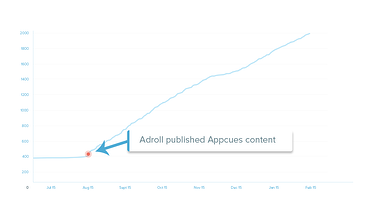 ProdPad uses Appcues product tours brilliantly. They know their users are technical—product managers—so they use tooltips to contextualize their product and explain why each section exists without getting in the way of their new users. Think of good product tours like a set of training wheels. They’re great to help your users get up and running, but in order to convey the maximum impact of your product, you’ll need to let them cross the Aha! Moment on their own and take action. It wasn’t half the thrill riding with training wheels as it was when you finally learned to ride without. Once you’ve enhanced your user onboarding to a steady state, and you are retaining a healthy amount of new users, you can now focus on later cohorts of users. The best way to retain users at the engage stage is to deliver further product value. This makes your product more sticky and keeps your users around longer. If you have a clear picture of what the successive steps you want users to take as they further engage with your product, you can essentially rinse and repeat the process you implemented to your user onboarding. Tried-and-true onboarding patterns like tooltips or hotspots can be used to guide users into more meaningful engagement with your product. Now a user isn’t going to want to explore and configure every part of your product in one sitting. So consider focusing on driving them to additional Aha! Moments one at a time, creating a regular cadence of prompts and pauses until they have maximized their usage. At that point, you’ll need to rely on new features to deliver additional value. Every time you launch a new feature, you have the opportunity to provide more value to your user-base. However communicating the value of your new product and getting users to adopt it into their regular workflow isn’t simple. Blog posts and emails are great to get the word out to subscribers and prospects, but they don’t suffice to your active users, who are the most apt to benefit. By launching your new features from inside your product, you can catch a user while they are in the natural place to learn about it and try it out. Your support team is going to be faced with the same questions and difficulties again and again. Instead of simply enhancing their canned responses and help center articles, give them the power to add tooltips to your product to answer common questions and preempt support tickets. Look at your most viewed help docs and consider how you might be able to help users solve their problems up front. Implement tooltips that teach users commonly asked how-tos and measure if the views to that help doc drop over time. 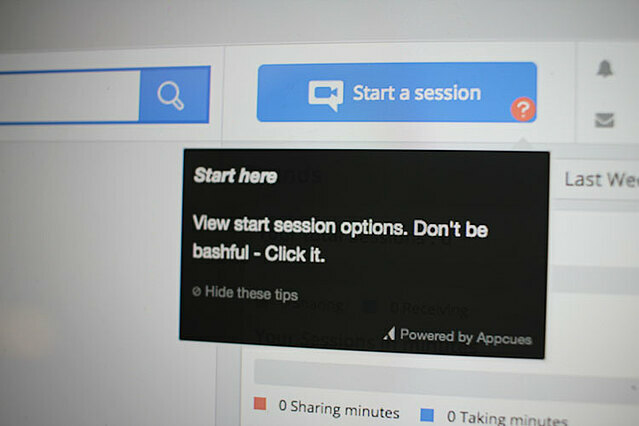 By giving your users better help inside of your product, user sessions will last longer, and they’ll be able to reach their goal faster. This in turn will improve your cohort of seasoned users. When your product is sticky and you’ve developed a large cohort of power users, you can begin to focus on empowerment. Empowerment helps extract the passion and value your users have received in order to continue attracting new users and progress your product for the better. Done correctly, it can also make power users feel emotionally connected to the product and its growth. Here are a few ways to extract that value and make it easy for them to champion your product. 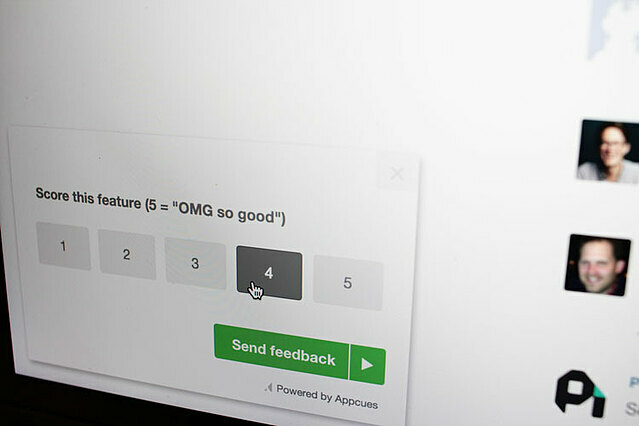 Solicit feedback from your power users in any way you can. Meet them in person, hop on the phone, survey them in emails, and prompt them with in-product feedback forms. When gathering feedback, try and identify a few themes. Make those themes a priority in both product development and customer success. For more on this subject—because it is awfully big—check out Steven Blank’s Four Steps to Epiphany. Users will love you all the more if they feel they have a hand in your product development. Be sure to ask the right amount—but not too much—to get their voice in your product. Instead of giving meaningless gift cards for customer referrals, try and offer your power users more of your product in exchange. This will let you acquire new customers for essentially free, and it will only encourage them to further deepen their usage. 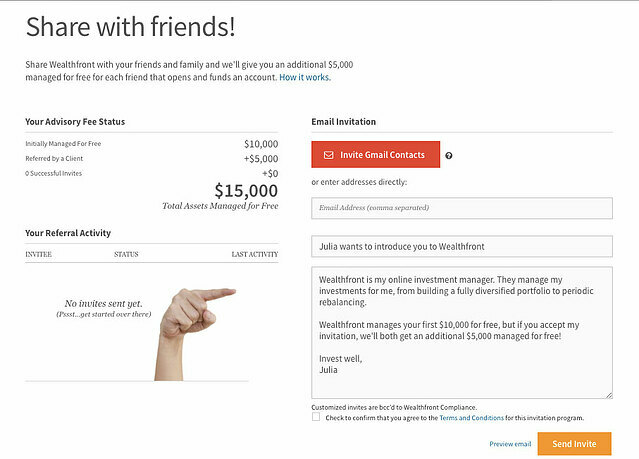 Wealthfront gives you $5,000 of free asset management in exchange for a successful referral. This prompt seems like a good deal to a user who is continually ramping up their usage. In Sean Ellis’ Secret Framework for Unlocking Organic Growth, he lays out a method for capturing the language of power users and turning it into marketing copy. It’s pretty crafty, but the basic method involves running a series of in-product surveys around product feedback, and then channeling those responses to create marketing copy. Just be sure to thank your cohort of power users for their help. This method makes sense for attracting future power users and has helped Sean grow companies like Dropbox, Qualaroo and LogMeIn. Try this out and see if it can help you fill the top of your funnel with new users that will be healthier and happier than former cohorts.